Knowledge is Power and if we are to save our country for generations to come we must get educated on the issues of National Security. As Michelle Morin @Moms4Freedom says…..
Perhaps if all journalists were sent to spend a year on the ground with terrorists, we would then see a mass conversion to truth in media. Lara Logan’s speech is based on years of inside, on the ground investigation with the Taliban. Now that we know the challenges we face what do we do next. WE stand together! Because we understand that our nation and Israel are at risk of being forever changed. Polling shows that National Security is a key issue for Women Across America. we are the Women on the Wall. “Our way of life is under attack. If you think that’s … war-mongering, you’re not listening to what the people fighting you say about this fight.. This entry was posted in Blog, News and tagged lara_logan, national_security by Alice. Bookmark the permalink. 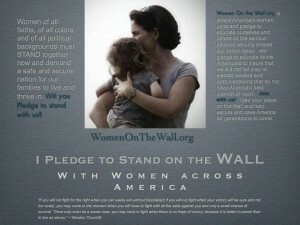 Alice Linahan is a Politically-Active Texas Mom who has worked hard in the trenches of the Grassroots Movement. As an established leader in New Media with Voices Empower and as Vice President of Women on the Wall, Alice brings audiences a servant’s voice with a heartfelt, funny tone and when the truth needs to be told in a bold, fresh manner Alice can deliver. She brings alive the stories from the trenches of the movement of parents asking… #CANiSEE what you are teaching my child that is taking America by storm. Alice is a radio talk show host of the Women On the Wall Radio Show in addition to being the Author of the upcoming “A parents journey from #CANiSEE™© to I Can SEE” study on the Common Core. Alice Linahan is a winner of the 2014 UPTON SINCLAIR AWARD with EducationViews.org for her work as an Advocate for Securing the Best of Education Policies for the next generation of American children. Alice has been described as “Passionate in everything she does and she is proof that one person can make a difference. Thank you for giving us the tools to share with others to bring to light not only to the corruption in our administration and in our House, but to help us to learn about those willing to help bring our country back to its founding principles for leaders in our communities, states, and our country. Carol, Thank you so much for taking the time to comment and for your donation. It truly is a team effort and together we will make a difference. Have a wonderful weekend and we will keep standing together to fight the good fight!! 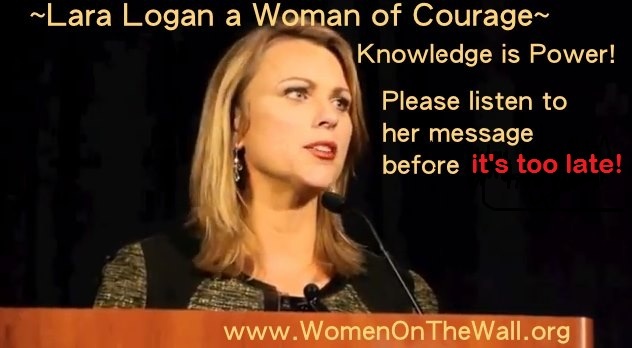 I have a tendency to go along with pretty much everything that was in fact authored in “A Woman Of Courage~ Lara Logan”.